Women rally for the Eureka Women's March in 2018. According to Tia Oros Peters, the executive director for the Seventh Generation Fund for Indigenous Peoples, the march lost its authenticity because it’s become a march of convenience rather than a march of action. “It’s ‘feel good’ and it’s cute with a hat. Super Instagram-able and again what's the purpose? What are we doing and why are we there and what are the actions? And not actions just on the ground at that moment, but actions that are going to create something, move something into change?” Oros Peters said. While she acknowledged that she walked in the first march in 2016 and spoke at the second march in 2017, she said there was an emptiness in the events which bothered her and other indigenous women she was with. It was then when Oros Peters decided not to participate in future marches. She said it was a personal decision, but that decision became more public when she posted in the Facebook event that she would boycott the march. In the post she wrote that there were “many deep holes—vacancies in the thinking and actions of people of this area who consider themselves progressive, or even, woke” and that “there has to be more than a sea of smiling pink hats with pats on their own backs for an annual walk around in Old Town, while silencing, marginalizing, and ignoring real issues of justice and ongoing colonization.” She also cited issues like the unsolved murder of black Humboldt State University student David Josiah Lawson, the struggle to remove the McKinley statue in Arcata and the fight to remove the Trinidad Memorial Lighthouse from the Tsurai Ancestral Village. Oros Peters noted that people of color are often put in more danger when they voice their own opinions. 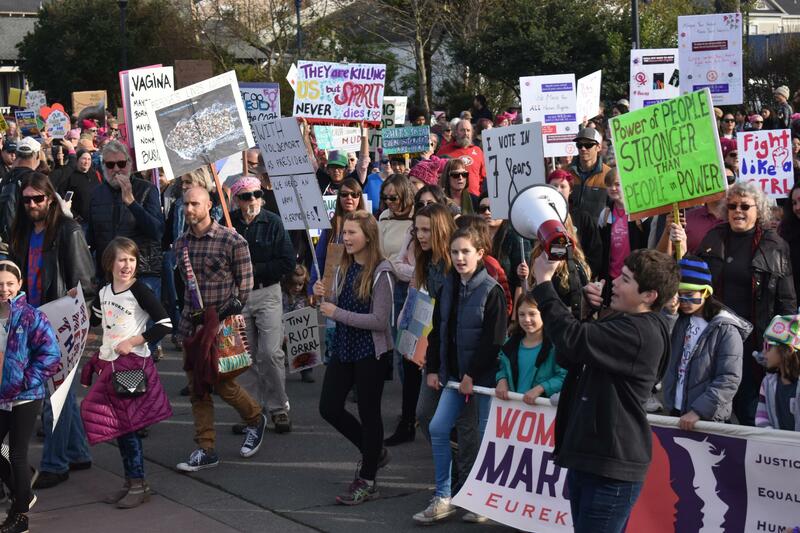 The organizers of the canceled, and what's now regarded as the "postponed Eureka Women’s March" shared a similar viewpoint and decided not to hold a rally on January 19th. A press release from the organizers stressed the importance of broadening representation and supporting people who live in Humboldt County. The announcement in the press release stated, “up to this point, the participants have been overwhelmingly white, lacking representation from several perspectives in our community.” Instead the organizers wanted to focus more efforts on International Women’s Day in March and celebrating Martin Luther King Jr. Day on January 21st. The announcement was acknowledged by some but others felt that three women-Kelsey Reedy, Allison Edrington and Beth Wylie-should not be in charge of deciding whether or not the march would be canceled. "If you're going to ignore some of the issues, not even address them, then it's a slap in the face of all the issues that have been raised and all the communities that have been hurt in the past by the march," Reedy, who supports the January 19th march boycott, said. Reedy also mentioned that there are other ways for people to get involved, such as, going to a Justice for Josiah Vigil, supporting local indigenous groups and uplifting communities of color on a daily basis. "We didn't want people to be able to feel like they could just check the box and feel like they're done for participation in the community. We're wondering if five to 8,000 people are showing up to these marches then where are they at the vigils? Where are they at these other events? We're trying to highlight that there's other opportunities for people to get involved and that a one day march a year isn't the only way for people to get plugged in," Reedy said. Organizer Beth Wylie also supported the boycott called by Oros Peters. She said it's important to consider other voices who may not see the march as positive or helpful. "As we moved through the planning process it became clear that the priority of marching with the nation on January 19th for women's rights was not a priority over meeting the needs of our community. And what's so bad about taking a moment to stop and consider how we can bring more voices to the table to create an event that meets the needs of the community?" Wylie said. "I struggle with the concern that we're not marching on the same day as everyone else and that that means our voices mean less." Wylie also brought up that in 2018, Portland canceled its march and then changed its approach to presenting the march by changing it into an "Indigenous Womxn's March due to the original march "(creating) a platform for the underrepresented women who were silenced by the dominating, privileged white feminism that doesn't hold each other accountable to be inclusive and in solidarity with all womxn." This year, Cincinnati also canceled its women's march, but instead cited costs, explaining the reasons behind their march cancellation were "practical not ideological." The canceled Eureka Women's March was short lived to others in the community who want to march on January 19th. New organizers fought to get it back on track. Attempts to contact Linda Atkins, a key organizer in the revised women’s march, were unsuccessful. But Kathy Srabian, who identified as an organizer for the revised march said via Facebook that people who have concerns should let their voices be heard loud and clear. New spokesperson for the revised march, Aundrea Stuckey said she understands why people feel uneasy about the lack of diversity, but a queer black woman in Humboldt County, she wants her voice and the voices of others to still be heard on Saturday. Stuckey grew up in Humboldt and she says that although black people barely make up 1 percent of the county, she is not afraid of speaking at the march, despite the controversy. She’s happy to be included in the event, and noted that representation, even small amounts of it, makes a difference. Meanwhile, Oros Peters said she doesn’t want to tell people how to spend their weekend. Instead she emphasized that people should think about what they put their energy into and how that energy will be used in the long run. Organizers of the Eureka Women’s March recently made national media attention after their press release announced the cancelation of the rally due to concerns that it would be ‘overwhelmingly white’. 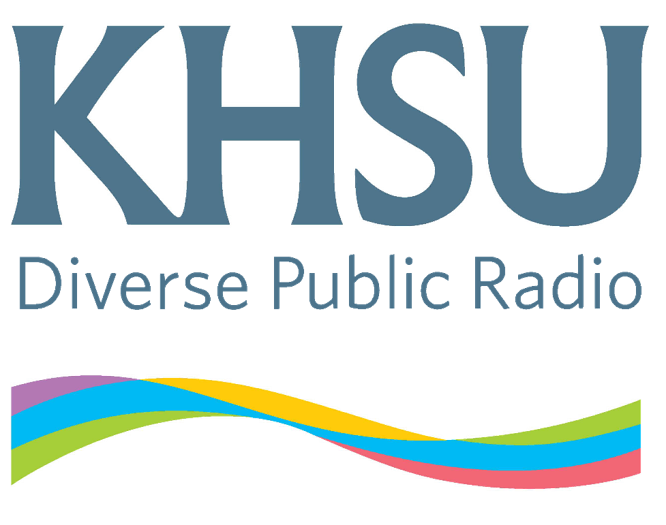 Kelsey Reedy, Allison Edrington and Beth Wiley, spokespeople of the Eureka Women’s March stopped by the KHSU Magazine to talk about their decision to cancel the 2019 Women's March. The Arcata City Council and city officials introduced the new Arcata Police Chief to the community on Friday afternoon. Chief Brian Ahearn sat down with local media, including KHSU, to discuss his plans and goals for the city. While Ahearn acknowledged he and the department have a lot of work to do, he is excited to begin creating connections with people in the community. His previous experience stems from working in San Diego with coastal and university towns for close to 31 years. KHSU's Natalya Estrada talks with Wiyot Tribal Chairman Ted Hernandez about Eureka transfering Indian Island to the Wiyot people. More than 200 acres of Indian Island was given back to the Wiyot Tribe on Tuesday. The Eureka City Council voted unanimously to return this area to tribal jurisdiction. The area was what city officials called a ‘surplus property’. It’s been roughly a week since the election and after an intense campaign, a majority of Arcata residents voted to remove the McKinley statue. It was a move supported by most of the Arcata City Council, including Arcata City councilman Paul Pitino. “If there’s any take away from this, I think it shows that the council is reflective of the community," Pitino said. "In 1906 (the statue) comes up and it was like 'ok that was a vision'. This was the vision then. Here, it's a hundred years later; We have a different vision."